The FFSC Membership Program is totally new! Please watch this site for developments as they come along. Check out the September 2014 issue of FFSC News. 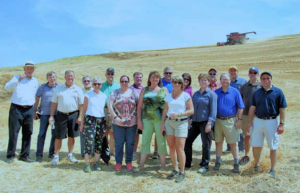 You can read about a council “membership” option, get details on a blog program at the Farm Futures website, and read about some of the great work being done by FFSC members. 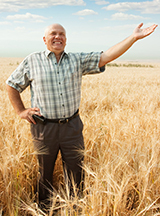 Farm Credit East has an open position for a business consultant in Maine. SUMMARY OF POSITION: This job provides high level consulting services for a fee to Farm Credit East clients in the areas of intergenerational transfer, estate/retirement planning, entity selection and implementation, business dissolution, profitability improvement and business planning/ management. This position is expected to have seasoned knowledge in various business management topics including farm taxation, the interpersonal skills to work in a consultative manner with farm business people and the drive to seek out and sell sufficient consulting engagements to meet billing goals. This position requires travel primarily within Maine with occasional training/meeting travel to other parts of the Northeast. For more information, and to apply, download this position description position description. The AICPA is holding its Agricultural Online Conference from May 7-May 9. This comprehensive conference is dedicated to the needs of CPAs who work within the agriculture industry. 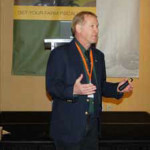 Critical sessions that highlight the latest industry issues, economic trends and techniques used in the agricultural industry are the backbone of this conference. In one convenient location, you’ll hear from leading agriculture speakers who will provide you with the information you need to network, grow your business and your agriculture client base. *Tax Section Members of the AICPA can also save an additional $100. Get more information on the conference here. 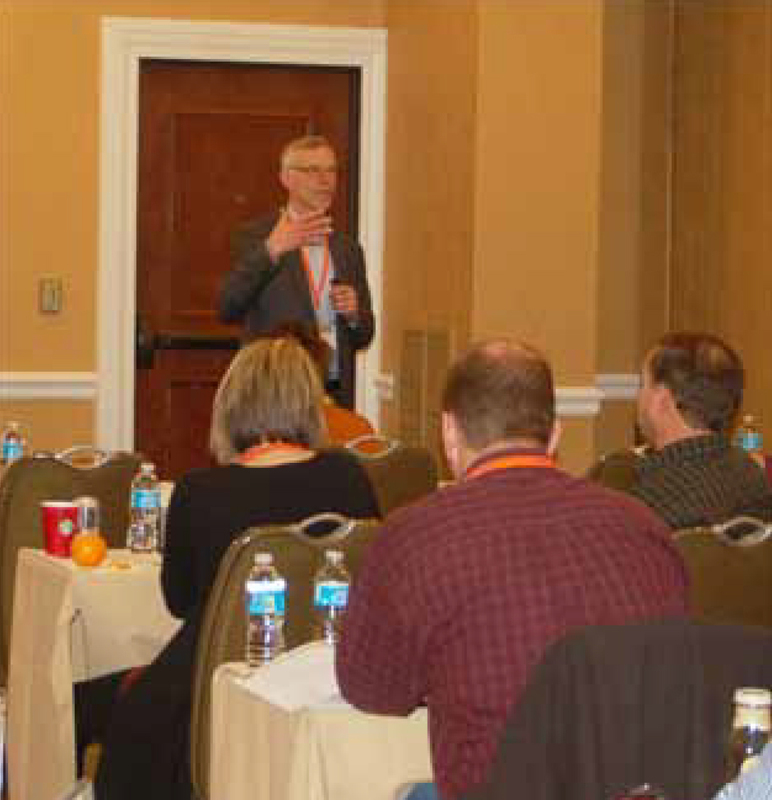 Over 80 farmers and land owners from as far away as Washington, D.C. and Upstate New York attended the 2014 Farm Futures Ag Finance Boot Camp held in St. Louis on February 20. Addressing the group were officers and board members of the Farm Financial Standards Council. Topics during the day-long event included the role of financial record keeping, the basics of understanding balance sheets and income statements, using ag accounting in decision-making, and an open panel forum on key issues. 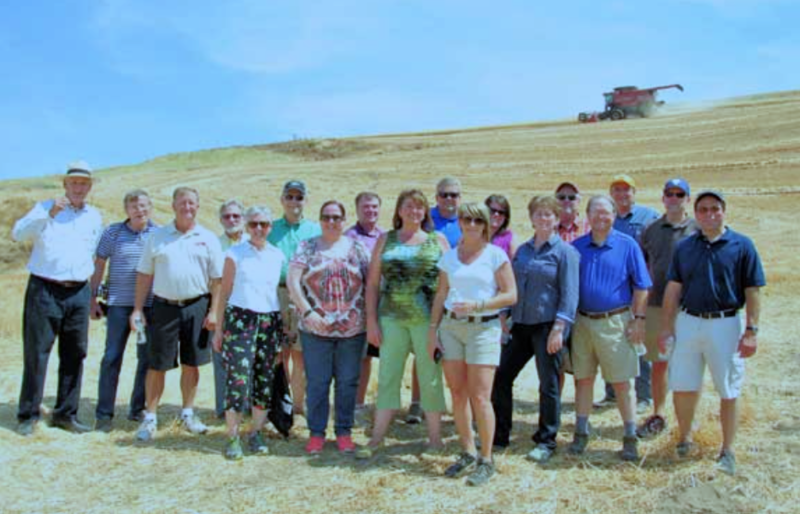 The program was hosted by Farm Futures magazine and was sponsored by John Deere, Farm Credit, and the Council. It was a full house at the Ag Finance Boot Camp. The program had originally been set for early January but winter storms required it be rescheduled to the February 20 date. 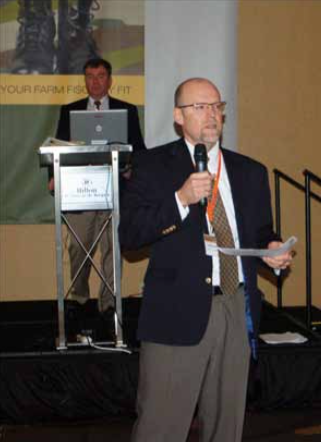 FFSC President Jim Kelm, principal with Kelm Man- agement/Dairy Business Consulting, Red Wing, MN, opened the activities and moderated a panel discus- sion later in the day. 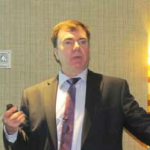 Paul Neiffer, FFSC Secretary/Treasurer and principal with the AgriBusiness Group of CliftonLarsonAllen, LLP, Yakima, WA, led discussion on why financial record keeping for agriculture is more than cash-basis accounting. He reviewed the defini- tions of bash basis and accrual accounting, the relationship between the income state- ment and the balance sheet, and why earnings are affected by changes in accounts payable and receivable, and changes in current and non-current assets. 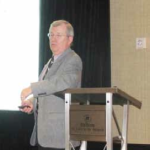 Lance Fulton, FFSC Market- ing Committee chair, chief ac- counting officer, Foreland Ag, LLC, Garden City, KS, gave a presenta- tion on understanding the balance sheet, income statement, statement of cash flows, and statement of owner’s equity. This covered what information is in each report, how to use the reports in business decision-making, and what records are necessary to produce the reports. 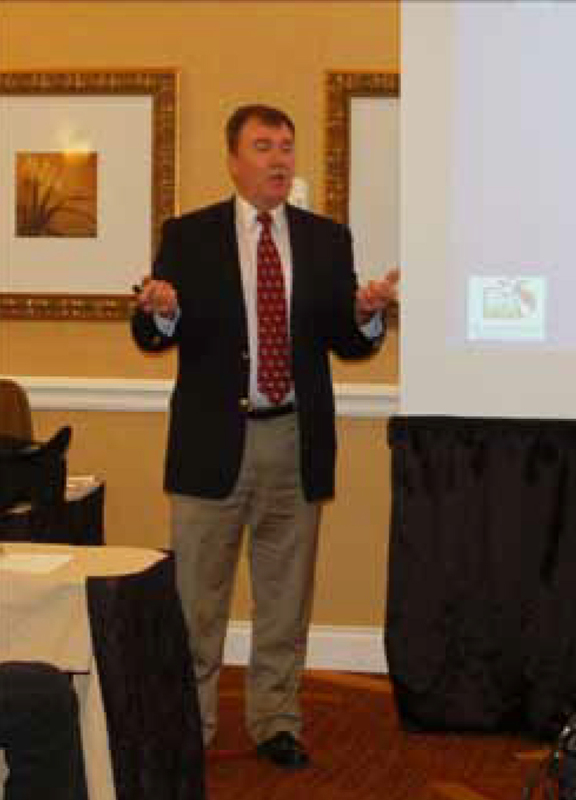 Steve Witges, Farm Credit Illinois, Effing- ham, IL, discussed risk management from a lender’s perspective. 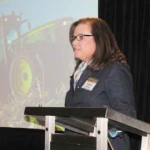 Teresa Garside, director, Market Development Ag & Turf, John Deere Financial discussed considerations to be given when weighing leasing against purchasing of equipment. The Market Development organiza- tion teams manage the processes that assess customer requirements, aggregate and prioritize those requirements into a shared view, inte- grate them into John Deere Financial decisions related to financial servic- es, and then execute the marketing tactics delivered to customers. 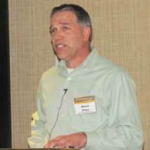 Stephen Severe, an FFSC Board Member, Chief Financial Officer of Padlock Ranch Company, Ranchester, WY, was part of a discussion on using the principles of ag ac- counting in decision-making. Padlock Ranch is a 475,000-acre property straddling the Montana and Wyoming state line. In addition to raising cattle the facility offers working ranch vacations, photography vacations, and private hunting and fishing experiences. Severe has adopted many of the principles of the Management Accounting Guidelines put forth by the Council. He was joined by Eric Edwards, senior vice president, credit manager, NBH Food & Agribusiness Banking Group, Greenwood, CO. The two dis- cussed understanding measures of Liquidity, Solvency, Profitability, Repayment Capac- ity and Efficiency. The session focused on how to use these measures to evaluate the financial strength of an agricultural business. Julie Strain (left), sales engineer, Red Wing Software, Red Wing, MN, was joined by Lance Fulton and Dwight Raab (right), state coordinator, Illinois Farm Business Farm Management, University of Illinois, Urbana, IL, in a panel dis- cussion on key financial questions for farmers and ranchers. Topics covered included financial literacy required to do accrual accounting, inside vs outside accounting services, training available for accounting software and financial management, the costs of software, training, maintenance and support of software and management advisors, and whether or not financial and production management can be integrated. 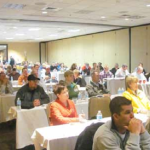 Farm Futures magazine will partner with the Farm Financial Standards Council to hold a one-day seminar on farm financial management on Jan. 6 at the Hilton St. Louis at the Ballpark hotel. The meeting is designed for all farmers who want to boost skills that can lead to better farm management decisions. The learning event comes at a crucial time for U.S. agriculture, as lower grain prices, farm bill uncertainties and high input costs squeeze profits. 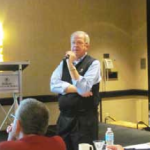 The sessions will be taught by professionals affiliated with the Farm Financial Standards Council. 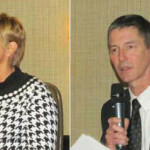 A panel discussion will focus on key financial topics for farmers and ranchers, such as financial literacy required to do accrual-based accounting; accounting on the farm vs. outside services; training available for accounting software and financial management; and how to use recordkeeping to improve borrowing power. 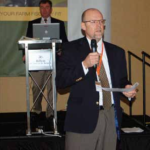 Attendees will be given a link to download their choice of either the “Financial Guidelines for Agriculture” or the “Management Accounting Guidelines for Agriculture,” provided by the Farm Financial Standards Council. The “Financial Guidelines” document will be the January 2014 edition, which includes a new, extensive section on hedging. The Ag Finance Boot Camp costs $100 when participants register by Dec. 1; the cost rises to $150 per person after Dec. 1. Farm Futures has arranged for a special room rate of $85 per night at the Hilton St. Louis at the Ballpark hotel. 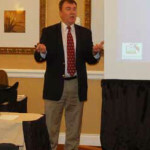 For convenience, the boot camp takes place a day before the Farm Futures Business Summit, Jan. 7-8, at the same hotel. 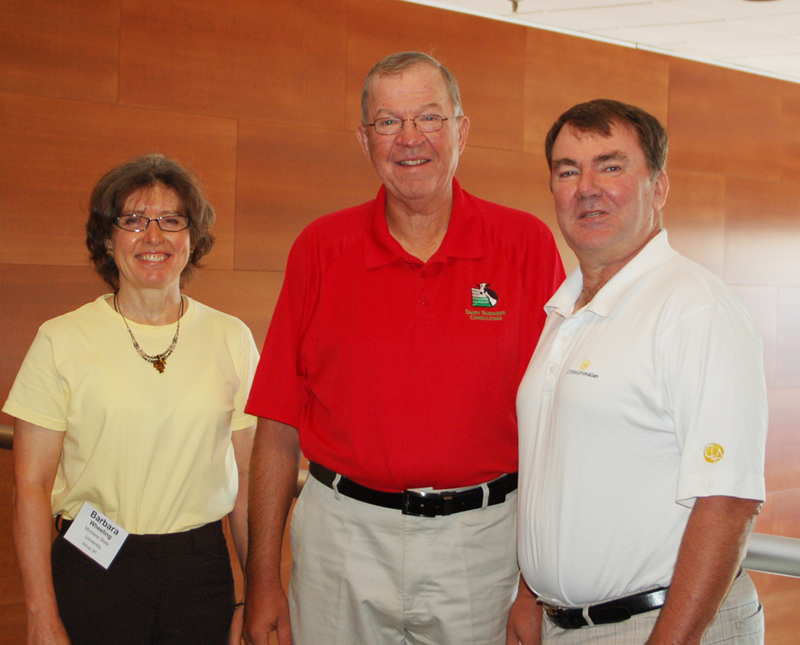 The boot camp is sponsored by John Deere and Farm Credit Services. To see the agenda and register, click here. Farm Futures is a Penton/Farm Progress publication. New officers Barbara Wheeling, Jim Kelm, and Paul G. Neiffer. 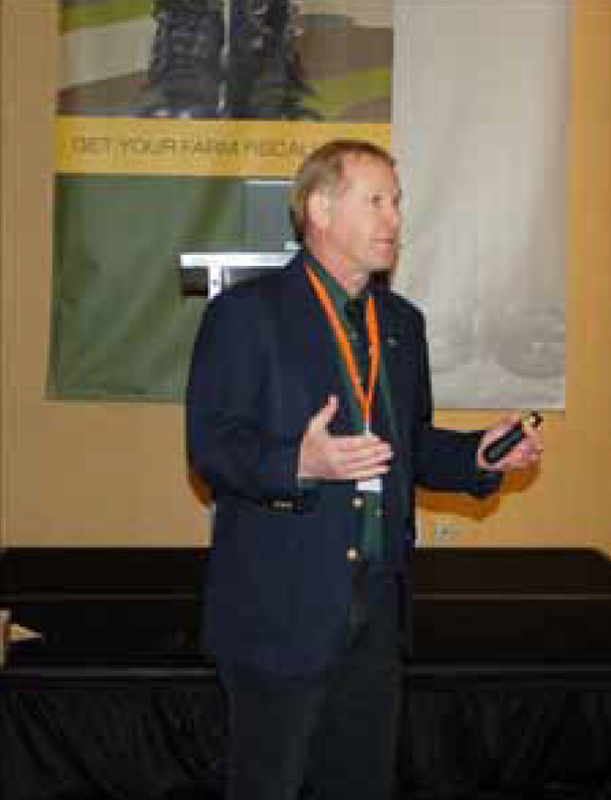 Jim Kelm was elected president of the Farm Financial Standards Council during the organization’s annual conference. 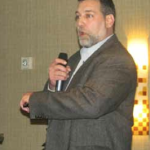 Kelm is principal of Kelm Management/Dairy Business Consulting, based in Red Wing, Minnesota. Kelm has been a member of the Council since 2002 and previously served as secretary/treasurer and vice president. He is a University of Minnesota graduate and served as a farm business management instructor at Riverland Community College prior to establishing his consulting business. Barbara Wheeling, dean of Business and Professional Accounting at Montana State University – Billings, Billings, Montana, was elected vice president of the Council. She has been a member of the Council’s board of directors since 2007 and previously served as the organization’s secretary/treasurer. See more details of the conference here.